After over 40 years of observing great and not so great leaders in the military, in government, in corporations, in education, and in sports, I can see some common threads shared by the great ones. They genuinely care for those they lead; they serve more than they are served; they inspire and give energy more than they take; when you have them, you have them — even if it’s only for 10 minutes; and they ask great questions! 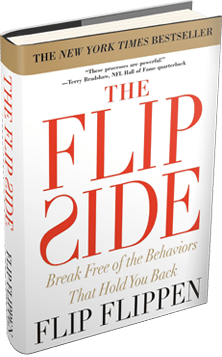 In the Flippen Group, we often talk about feedback being the ‘breakfast of champions.’ The challenge is that most people don’t know how to give it or get it. One way great leaders get it is by asking the right questions — questions that will give them something timely, specific, and actionable. 1. What can I do to make your working environment better so you can give your ‘all’? An answer I got once was, “Get better gym equipment and give us time to use it.” That day, our rendition of “Gold’s Gym” was born and we instituted a fitness program that cut our absences from sickness in half. 2. What can I do to help you serve the customer better? Often the burden of serving the customer and “making the numbers” is squarely on those we lead. One answer I got to this question was, “Equip our Project Managers with laptops and the best PM software on the market, and we will show you how we can run a project.” Within six months, they had selected the software, every PM was issued a new laptop, and we had trained our cadre of PM’s. We saw marked improvement in quality and cost and schedule management. 3. What can I do to help you get a better work/life balance? I hear lots of leaders talk about this one and then do a very poor job of modeling it. In answer to this question, I was told, “Few, if any, people were able to take their leave and schedule predictable vacations with their family.” We had many people who were in a “use or lose” leave situation because they hadn’t taken leave in over two years. We instituted a new policy that strongly encouraged everyone to take their full allotment of leave every year with at least one vacation being a full two weeks that leadership wouldn’t mess with. So . . . is it time you asked a few questions?? ?